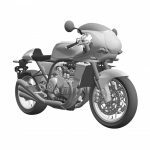 MO’s resident moto-sleuth, Dennis Chung, has done it again with this online discovery of these Honda CBX design drawings, which were filed Feb. 1 and officially registered June 8 with Japan’s intellectual property office. As with all drawings of this type, they are both remarkably detailed and frustratingly vague. 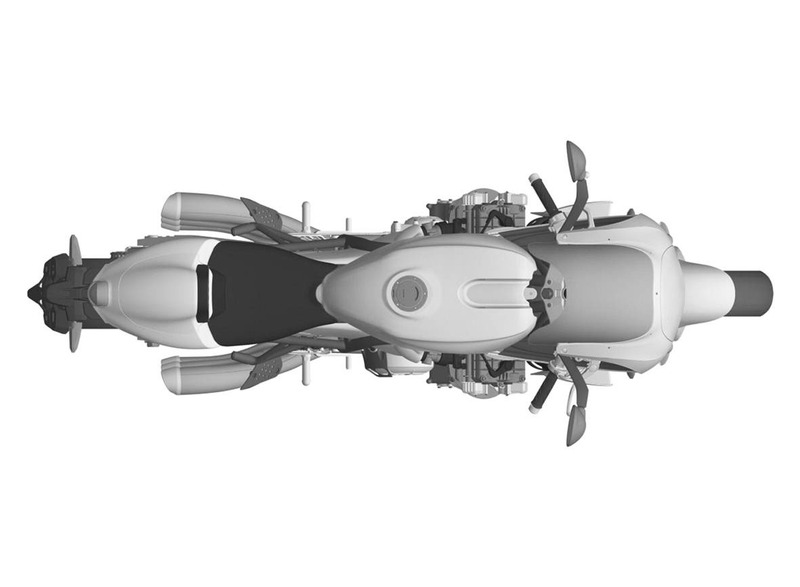 For example, the side covers over the electronics appear to have Dzuz fasteners holding them on, while there are no hints at all as to what is going into the space between the top of the engine and the frame. 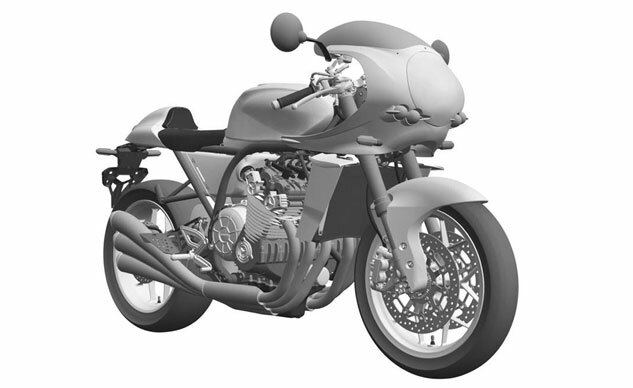 Will Honda allow that much light to pass through its motorcycle in the final design? Let’s take a deep dive into what we can surmise from these drawings. 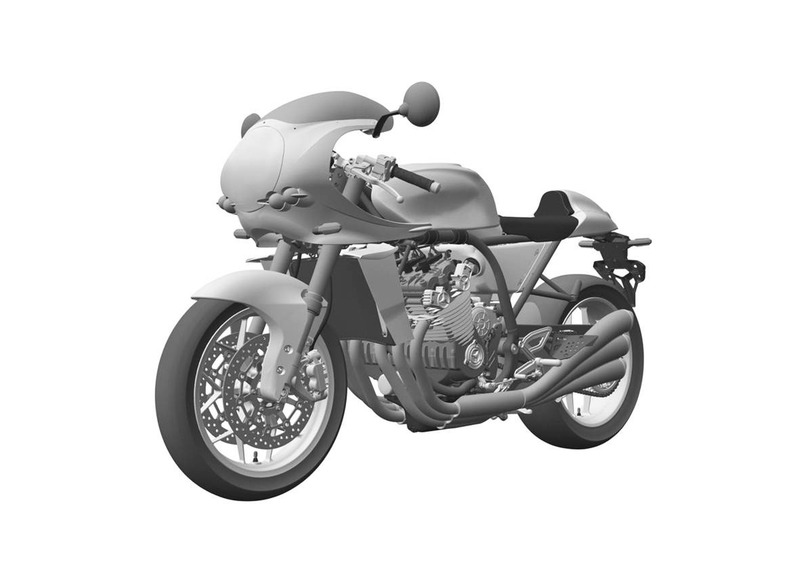 Since the CBX has always been about that big, honkin’ six-cylinder engine, that’s where our collective eyes naturally fall. The first impression is of how narrow Honda has managed to make this line of six dancing pistons. Liquid-cooling no doubt plays a role in allowing the cylinders to be placed closer together than with an air-cooled mill. We’re also fairly certain that modern coating technology, which negates the need for thick liners, steps in for an assist, here, too. One thing that really stands out is how the cooling system’s hoses are routed from the radiator to a fairly rearward water pump and then over the countershaft cover before entering the engine block under the intake manifolds. To us, this illustrates the effort to keep the engine as narrow as possible. One surprise is that the radiator hose appears to be routed between the header pipes (Yikes! ), which seems like a pretty roasty-toasty location to us. But who are we to question Honda’s engineers? In addition to striving to make the engine narrow, the engineers also spent some time keeping the length of the power plant down, too. 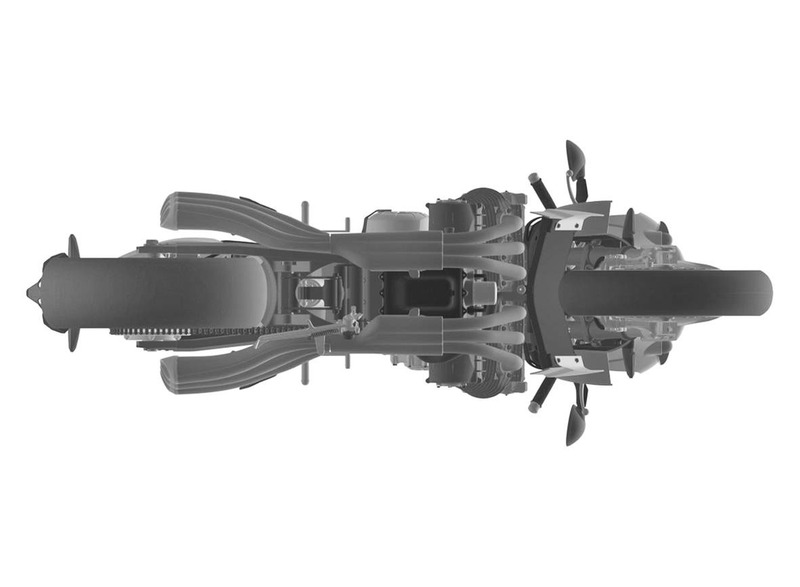 The view from the left side shows that the transmission is stacked for compactness. 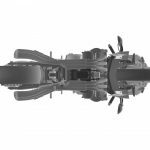 Similarly, we see what appears to be a huge starter assembly above the transmission. 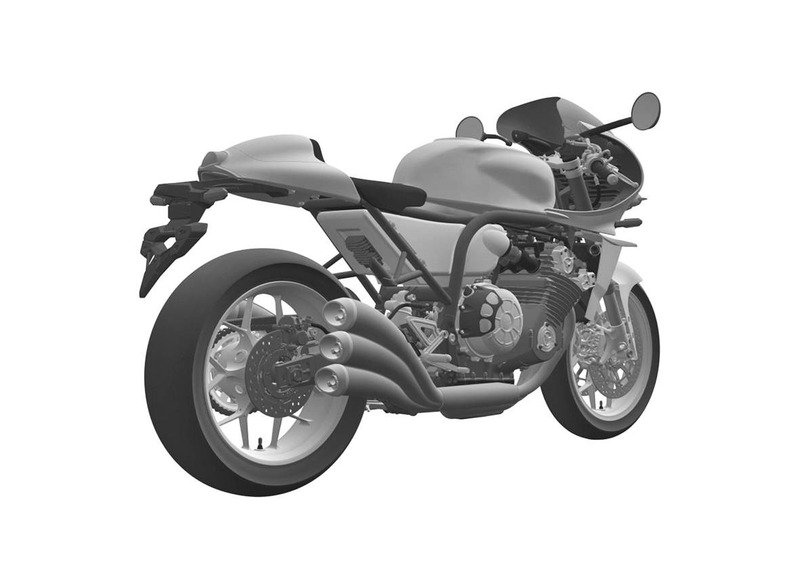 Let’s hope the CAD rendering is tricking our eyes and the actual production version isn’t so big. 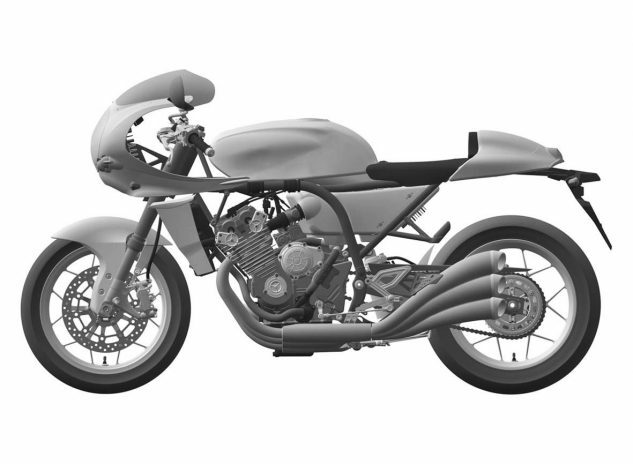 Now, let’s look at the styling of the CBX proposal, which (if you ignore the type of engine) bears more than a passing resemblance to the lines of the BMW Rnine T Racer. From the side, the swoopy fairing and the solo seat add to the impression. (Let’s hope that Honda didn’t decide to go with the period-correct looong reach to the grips the way BMW did.) The location and angle of the clip-ons look comfortably sporty, though. 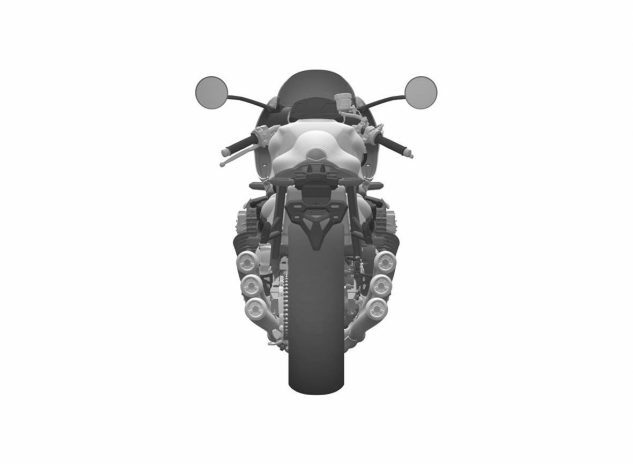 Even in the front view of the CBX, the inline-six looks proportionally as wide as the Rnine T’s Boxer. Although the CBX design has a solo seat, passenger accommodations are clearly visible in the form of pegs and a seam to allow for the removal/replacement of the rear hump. Into this retro-styling mix, Honda still tosses in some thoroughly modern touches. 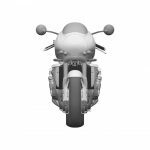 While the front view clearly shows a round cutout, we think this is a number plate design and the forward illumination will be provided by the four projector-beam headlights shown in the lower section of the fairing. 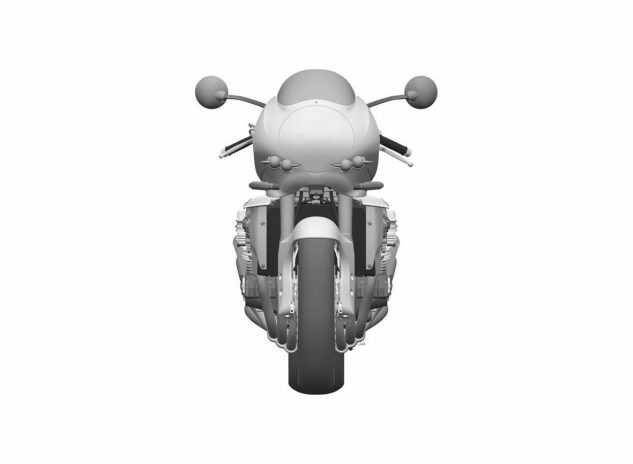 The cooling fins on the inside of the fairing behind the lights strongly suggest that these will be LED lights. We have no idea if something this cool will actually make it into the final design, though. The shape of the brake light and the turn signals lead us to believe that these will also be LED units. 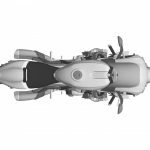 One of the everlasting design cues of the original CBX were the six header pipes flowing down, the two groups of three pipes leading to a collector, forming two banks of three-into-one exhausts. 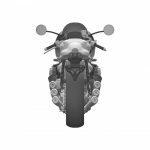 This new design cue takes the original’s one step farther, with each set of three header pipes leading to a matching set of exhaust pipes on the other side. While we love this look, there’s no way Johnny Law would approve of the loud racket the bike would surely make. 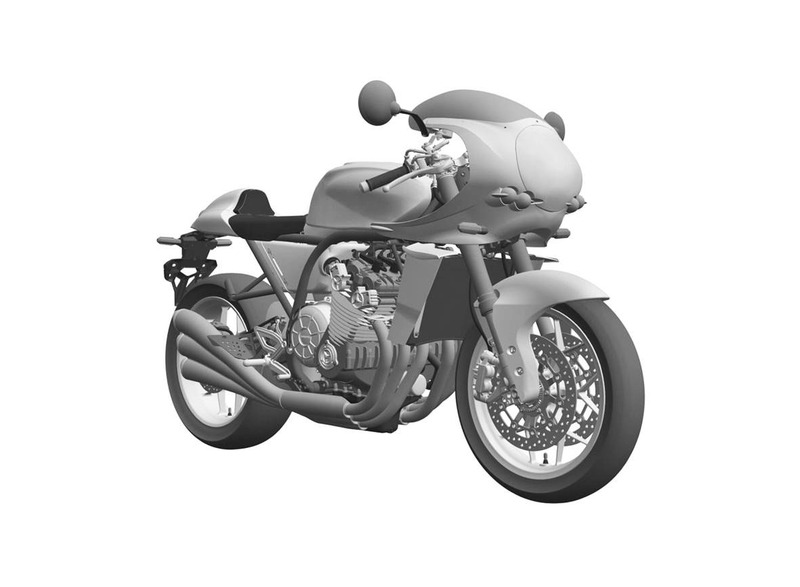 Looking at the underside of the CAD rendering, it looks as though Honda’s aiming to please The Man via a crossover tube between each set of three pipes, leading to a muffler cleverly hidden underneath the motorcycle. 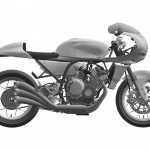 The end result is six exhaust pipes flowing out the rear of the bike, in a nod to the RC166 – and to Honda’s big rival from the `60s, MV Agusta, whose pipes often had that curvature at the end. It’s beautiful, and hopefully it makes it into production. 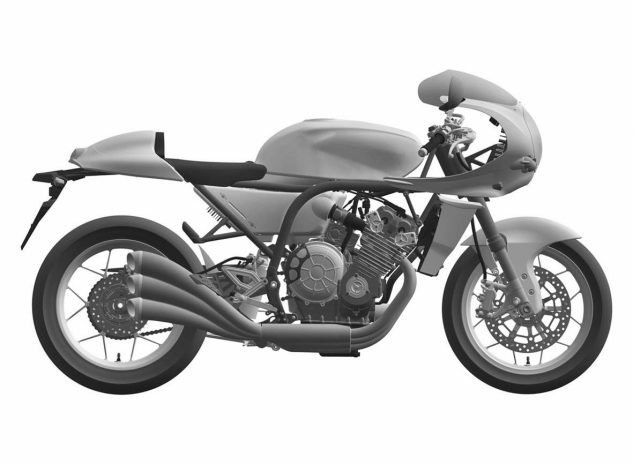 As with all design and patent filings, we can only speculate on when we may actually see a physical motorcycle. 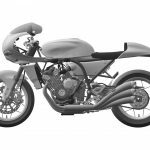 Honda has typically been fairly consistent in presenting either a concept or production model within a few months before or after registering a design with Japan’s patent office. 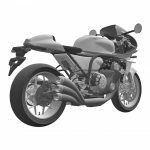 Perhaps we’ll see something in the flesh at Intermot or EICMA 2018? 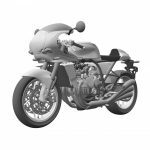 As always come back to Motorcycle.com often, as we’ll post more updates as soon as Honda releases them.